When we were traveling in Europe and some of our travel plans fell through, we quickly booked a trip up to France from Spain. 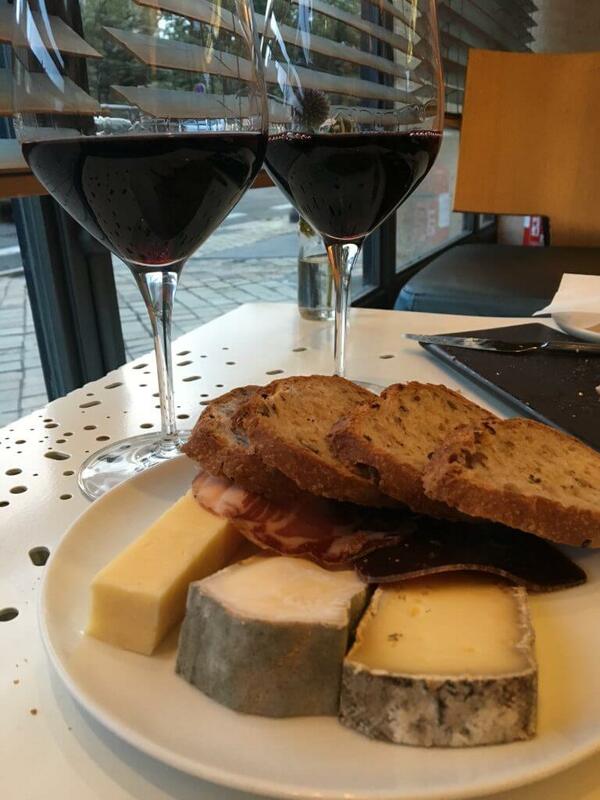 The trip took us from the underrated region of La Rioja, Spain to Bayonne and Biarritz, France and eventually Bordeaux before stopping in San Sebastián on our way back to Spain. Spending 2 days Bordeaux, the wine capital of France was probably the best part of our last minute trip. 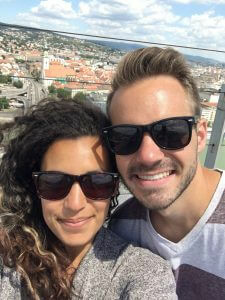 We loved Bordeaux and would recommend it to anyone who wants to visit France and loves wine…or simply just loves wine. We stayed at an Airbnb right by the Basilica of St. Michael. 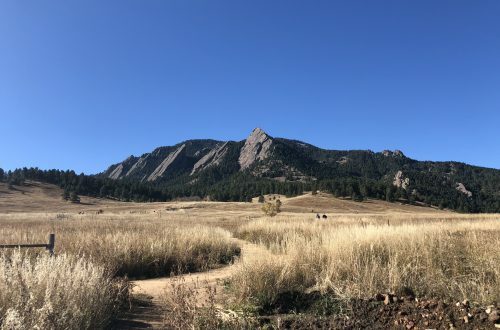 Unfortunately it is no longer available to stay there, but we highly recommend staying in the area. 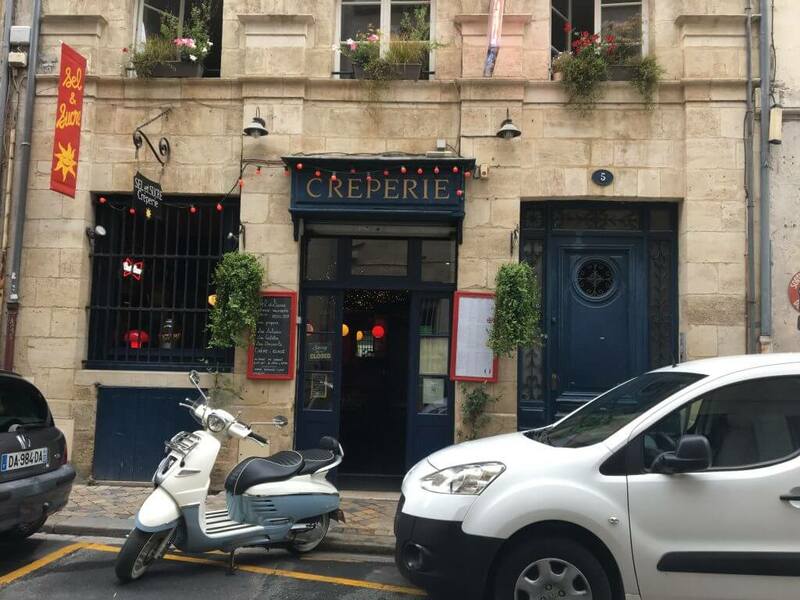 It’s really close to everything in Bordeaux and less expensive than staying right in the center. 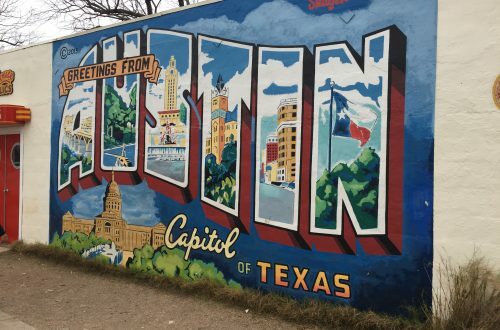 If you’ve never used Airbnb before we highly recommend it! Here’s a code for first-time users where you can get $30 in travel credit when you book a place. 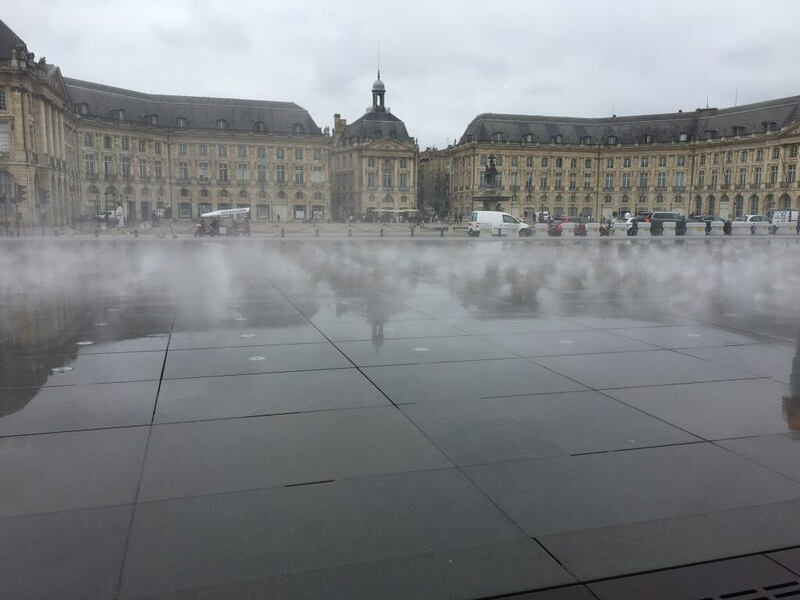 Miroir d’eau – The Miror d’eau is one of the most famous instagram photos of Bordeaux, and for a good reason! It’s an interactive piece of public art that was built in 2006 and is actually the world’s largest reflecting pool! It’s right on the Garonne River in front of the Place de la Bourse. Garonne River Riverfront – While you’re at the Miroir d’eau, walk along the riverfront. It’s a nice open escape from walking around the city of Bordeaux. Both are charming though and lend themselves to a unique balance being right next to each other. 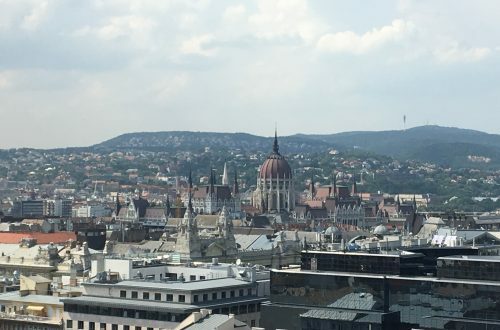 Check out a Cathedral – If you’re traveling to Europe for just a short period of time, cathedrals are probably on your list, but if you’ve been in Europe for a while, you’re probably cathedral-ed out. There are quite a few impressive basilicas, cathedrals, and churches to choose from. 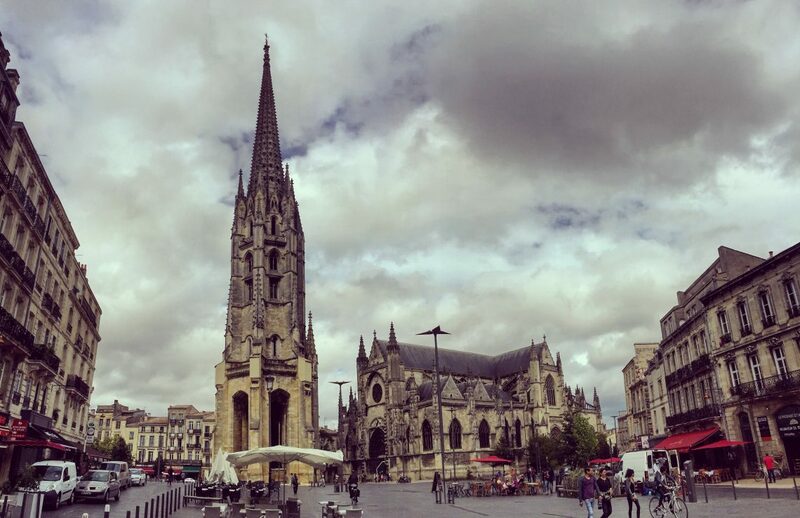 The Basilique Saint-Michel, Basilique Saint-Seurin, and Cathédrale St-André are some of the most beautiful cathedrals in Bordeaux. Le Bar a Vin – Le Bar a Vin is a wine bar located in the Bordeaux Wine Council’s building. It’s one of the best wine bars in Bordeaux. However, because it’s one of the best wine bars in Bordeaux, it can get pretty busy. We arrived at 7:20 p.m., and there was a line. It took almost an hour until we got seated at 8:15. The wait was definitely worth it though. 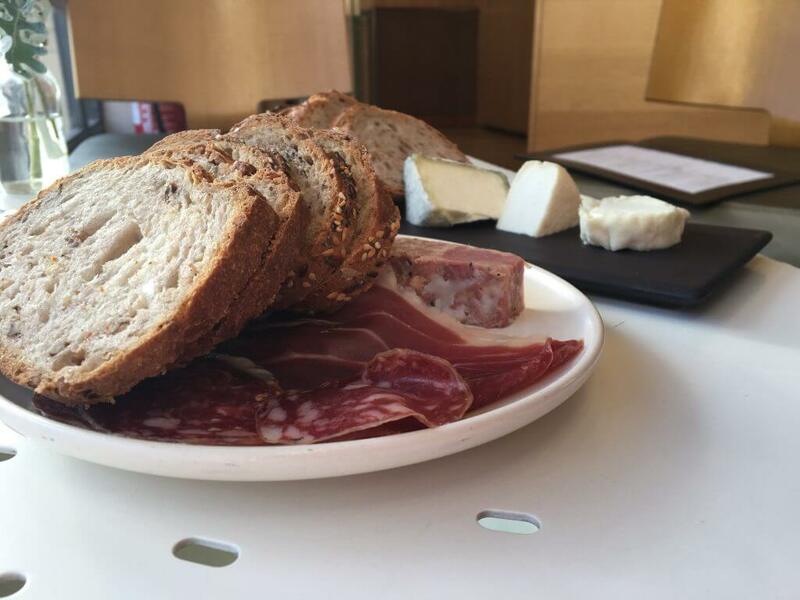 They had fantastic suggested pairings of wine with cheese and different charcuterie boards. Jeux Bar – Jeux Bar was unlike any bar we’ve ever been in. 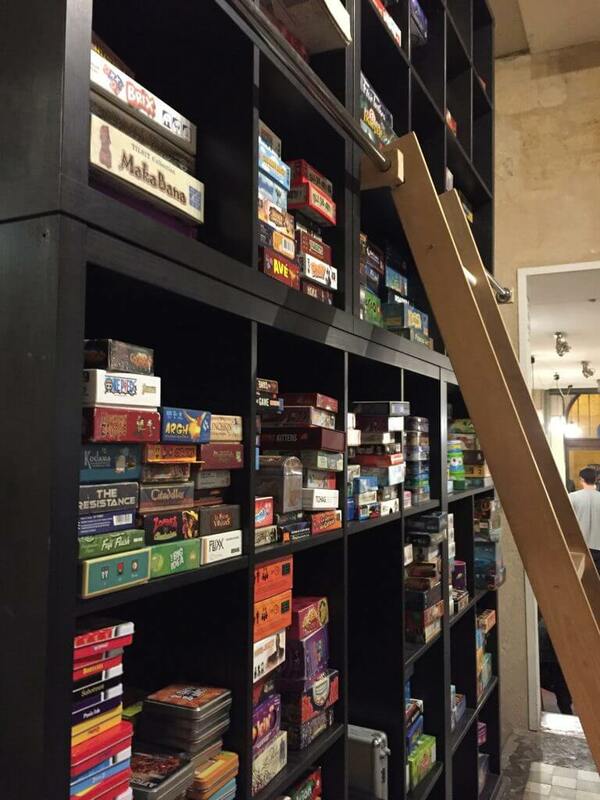 It was a board game bar where you can play a variety of games, but instead of you simply choosing from a stack of board games, the bartenders give you the games. You can choose from either 3 shorter games or 1 longer game with your drink. We opted for the shorter games (Quarto, Bazar Bizarre, and Cardline Animaux). The bartender explained the games to us too! It was fun to play a bunch of different games at a bar that we probably wouldn’t have played otherwise. All together, our 3 games and 2 liters of beer were 18€. 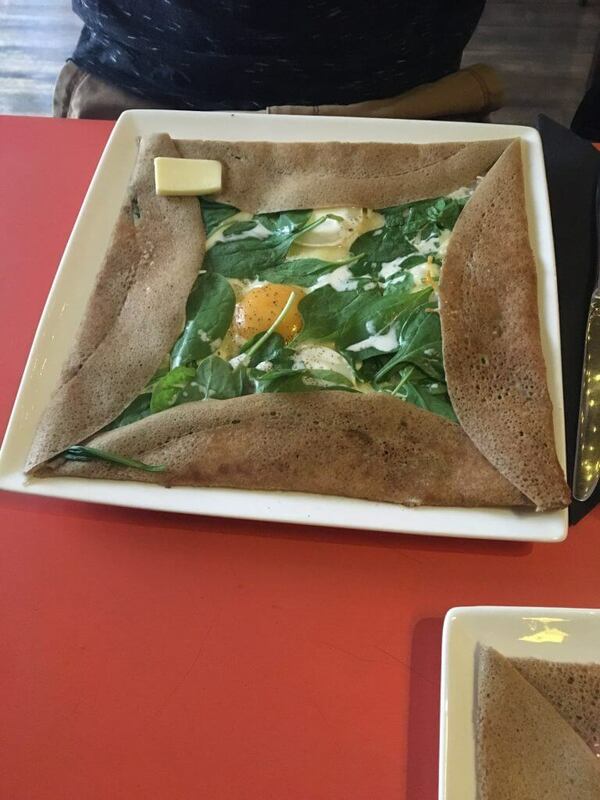 The crepes were delicious and we’d happily go back next time we’re in Bordeaux. La boulangerie – La boulangerie is a great bakery in Bordeaux and has delicious bread and pastries. Our BlaBla car driver recommended this place to us, and it didn’t disappoint. 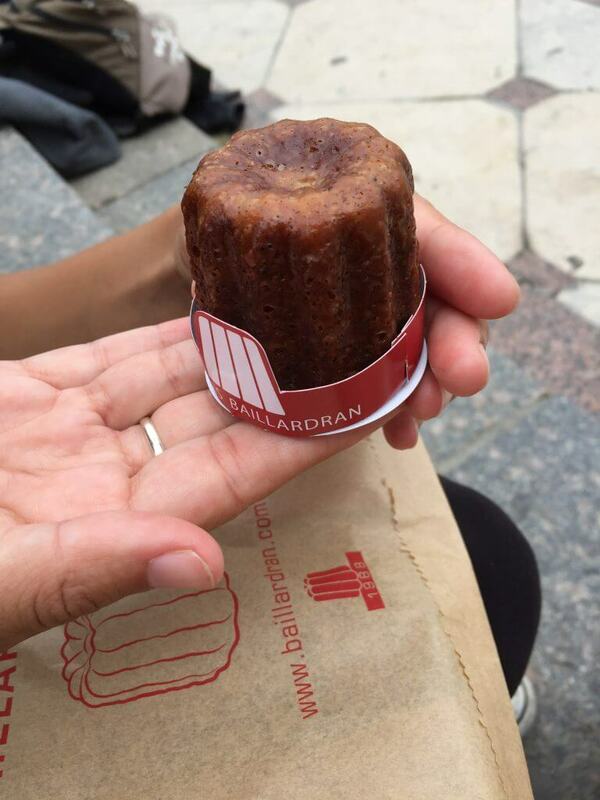 Caneles – Caneles are the most famous dessert in Bordeaux. They are small pastries that are covered in a caramelized crust and have a creamy center. They also come in rum and vanilla flavors. You can get them at a few places, but the most famous is Baillardran. However, you can also get them at La Toque Cuivree. 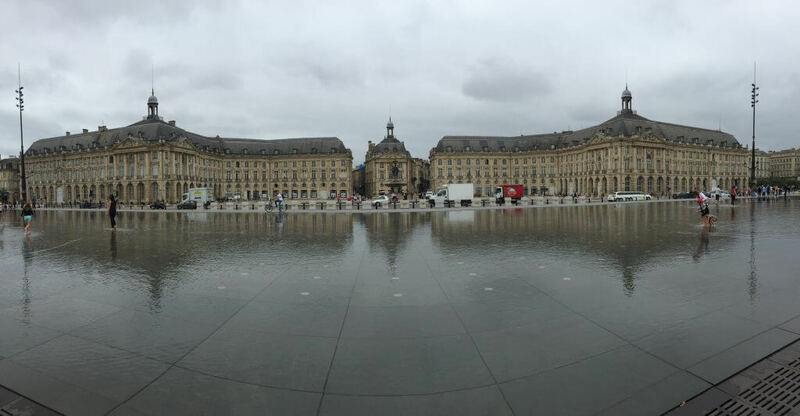 Bordeaux was a beautiful city, even in the rain, and has a more university-feel with lots of fun things to do. On top of all that, Bordeaux is the wine capital of France and is totally worth visiting. 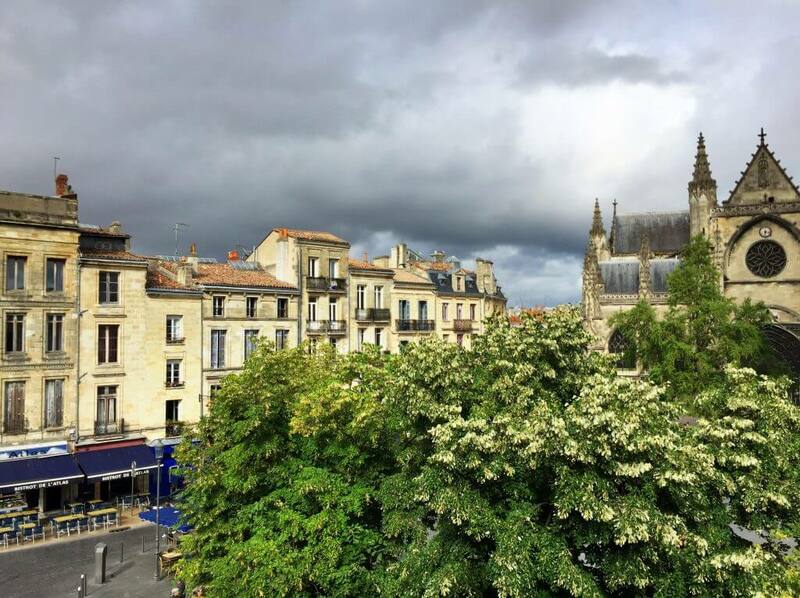 Have you ever been to Bordeaux? What are your recommendations for visiting Bordeaux?